We create websites that make you money. Does your business need professional UK web design in order to grow by attracting more clients and sales. Are you looking for a professional website design which will showcase your company in the best light and enable you to stand out from the crowd in your marketplace? ExtraDigital produce designs that not only look great, they help our clients to grow thier business online. ExtraDigital can help you achieve these aims with our UK web design, allowing you to make the most out of your marketplace and your resources. Here at ExtraDigital, we are known for designing and creating amazing websites which are built with marketing in mind so that they are highly visible to search engines in order to act as effective marketing tools. We also ensure that when creating these highly effective websites that we focus on the customer journey from a new user to a client, this ensures that your site is easy to navigate and fully accessible to all users. Our wide range of previous and current work includes everything from corporate websites, eCommerce destinations, detailed online booking systems and everything in between. Our sites produce solicited action for your company to turn into leads or to simply benefit from the increase in sales and/or visitors. Our websites make it easy for search engines like Google to understand and index your content. We take SEO and Google guidelines into every part of the design so that it is weaved into the very fabric of your website. 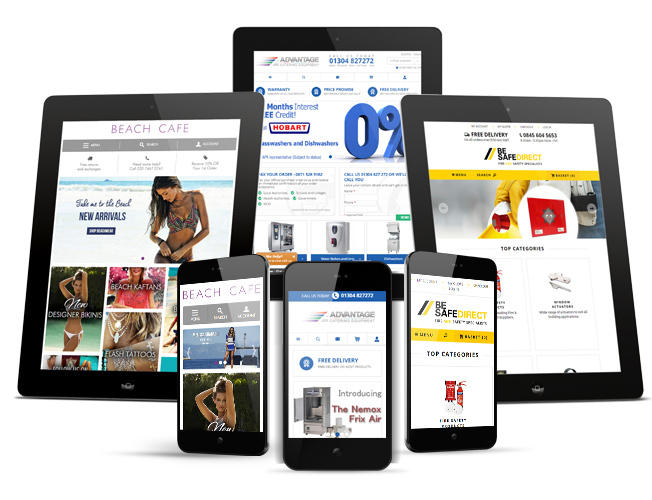 People no longer only go online using one device and so it’s vital your website gives your visitors a winning experience whatever device they use. All our web design takes a mobile first approach and are built to be responsive across multiple devices and screen sizes. A good mobile experience is also now essential for good SEO. Speed is a major factor in Googles ranking algorithm and essential for a good visitor experience. You don’t want to lose customers due to a slow loading site with competitors only a click away. That’s why we create websites that load super quick whether your visitors are in Islington, Ireland or Indonesia. A websites job is to help visitors complete desired actions (conversions), these can include filling in a contact form, making a phone enquiry, placing an order, booking a holiday and many more. Having the right messages in the right place is key to conversion and a skill that our designers have honed to a fine art. Over the years we have also built up a reputation for fantastic UK web design for a vast number of multilingual clients, ensuring that whilst our designs are suitable for different cultures and markets they are also able to work with the right to left style of writing that is common across parts of Asia and the Middle East. This experience has benefited a number of our clients and has seen our UK web designs being seen and used throughout the World. Take your time and browse through our portfolio of UK web design and branding, it showcases the very best of our website designs and creations. It also displays a number of responsive designs that we have created for clients, allowing them to take advantage of the current and continuing shift towards alternative device use such as mobiles and tablets. If you are looking for beautiful, high quality and professional UK web design then let us do the hard work for you, simply call +44 (0) 1227 68 68 98 today and speak to a member of our expert marketing team or our in-house designers who will be able to begin getting your business seen online. We also offer a number of other services including online marketing for your site and hosting, all done in-house. This means that we can offer you the complete package with ease and simplicity.